For a thousand years Unklar, the Horned God, ruled from his throne in the great towers of Aufstrag. His rule ended in the long Winter Dark Wars and the heroes of that age swept him away and into the Great Empty. Amidst the ruins of his rule a new world was born. But memories run deep and the stain of Unklar’s reign is not so easily rooted out. His minions haunt the dark places of the world. They occupy forgotten temples, ruined dungeons, castles on the borderlands; from these bastions they plot the return of their horned master, or at the very least, the terror of men. There is perhaps no greater bastion for the refugees of Aufstrag than the Blacktooth Ridge. Here evil resides, and thrives; treasures abound, hidden magic lies unused and forgotten. There is wealth and bounty ripe for the taking, and land and title for those so interested. In this wild country, in the very shadow of Aufstrag, the Umbrage Saga begins. In the Shadow of Aufstrag is an adventure for 3-8 low to mid-level characters. It contains overland and dungeon adventures and sets the characters on the Journey to Aufstrag. There is enough setting material and adventure hooks to allow the CK to create multiple adventures. 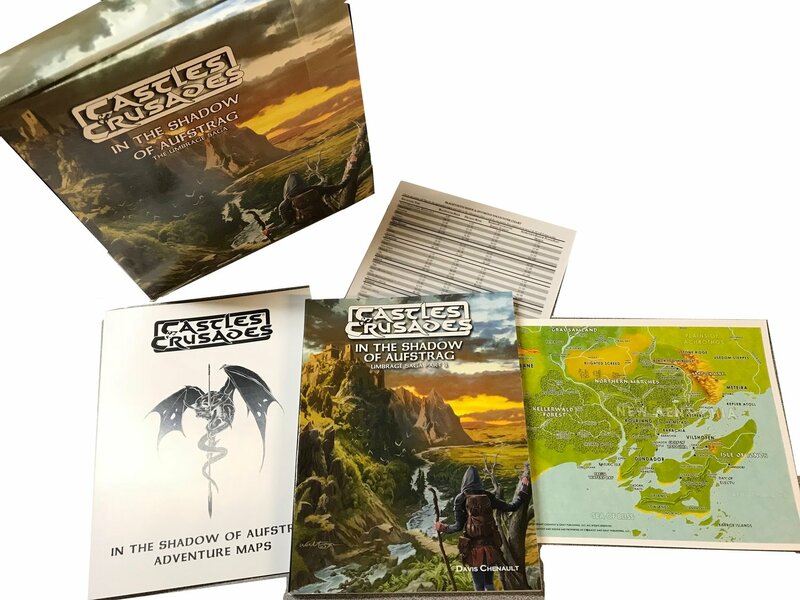 In the Shadow of Aufstrag is a prelude to Journey to Aufsrag (A6-A12) (Pre-Order) and Dungeons of Aufstrag (A13-A17) (available now).